Don’t miss any of your favorite shows. Don’t want to watch the commercials. SKIP through them! Lumos Networks Video Event TV, a 24/7 linear channel dedicated to only the best in special events and event programming. 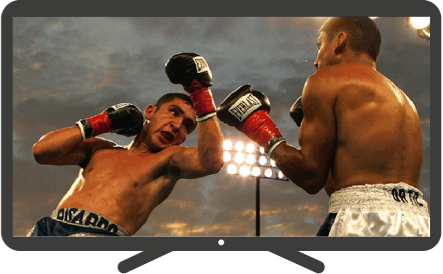 Event TV presents the most popular PPV events from key franchises such as HBO, PPV Boxing, World Wrestling Federation (WWE) and Ultimate Fighting Championship (UFC). Stay current with the latest movies anytime you want. Watch your favorite shows anywhere anytime. Lumos makes it easy to access thousands of shows from any device.